For a little history behind the Crankworx Whip-Off Worlds I can find nothing better than this piece by Joe Parkin, partnered with Sven Martin and all melded together by SRAM. 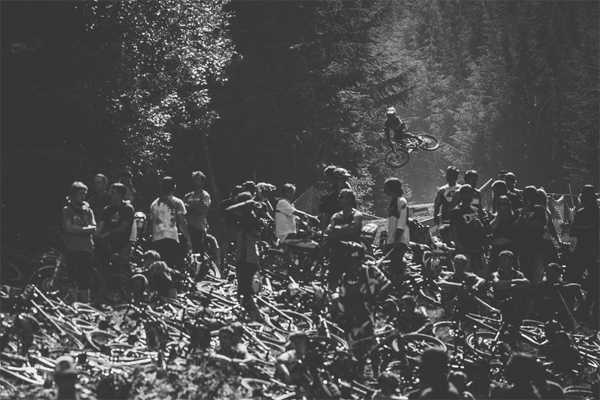 Mountain biking’s birth can be argued endlessly, but its popularity first kicked off when a free-thinking mix of road racers, band roadies, hippies and others got together in Marin County, California, declared a competition — and photographed it. Those pictures of riders in jeans and flannel, sliding sideways on old fire roads, were captivating, aspirational. They spoke to style and fun. 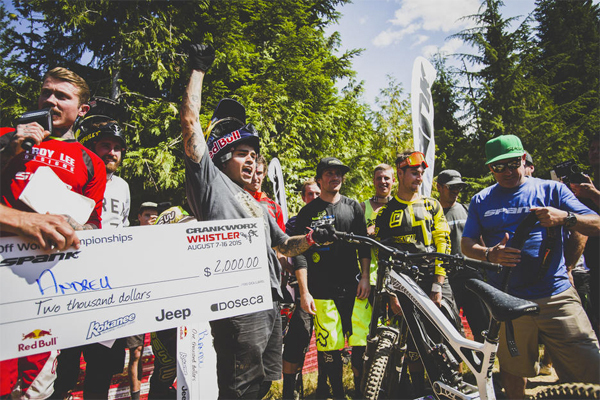 Everyone could relate and, within just a few short years, millions called themselves mountain bikers. 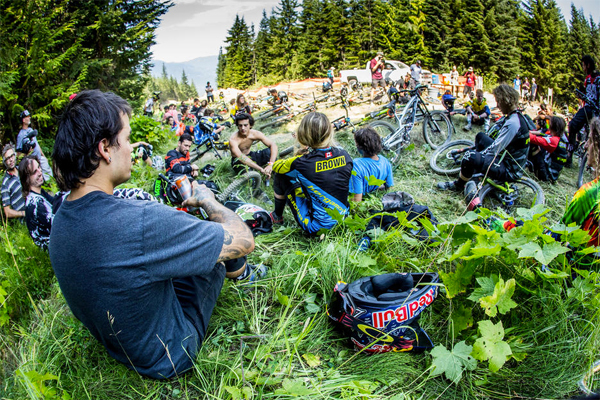 Photographer Sven Martin noticed when the World Cup downhillers showed up for Crankworx, all they really wanted to do was ride Whistler Mountain Bike Park’s jump trails, subconsciously competing with each other for style points and bragging rights rather than against a clock. So, roughly four decades after those first Repack races, Martin decided to gather a bunch freeriders and racers together on Crabapple Hits for the Unofficial Whip-Off World Championship. 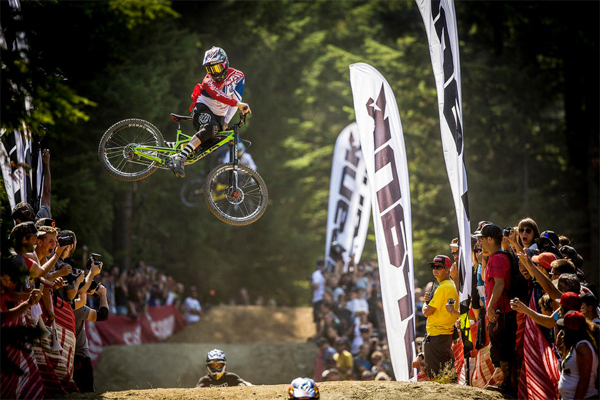 Similar to the events in the early 70s, Whip-Off Worlds is for riders by riders. 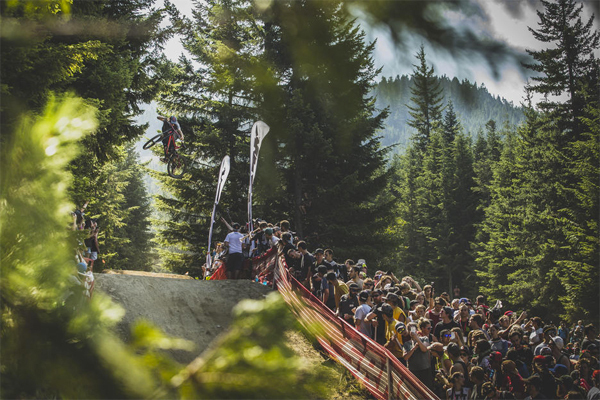 You can hike in if you want, but you’re best off getting to this contest by bike. It’s an open jam format where it doesn’t matter whether you’re a World Cup competitor, enduro racer, freerider, filmer or park rat. You can show up on a brand-new bike, custom painted by your sponsor, or on a rig that has seen better days. You can rock sponsor logos in next year’s colours or nothing but a helmet — and a sock to hide your delicate bits. And it doesn’t matter if you have every trick in the book on lock — only the whip matters here. If you can’t do it with big style, you’re going home without a check. But the check really isn’t the motivation. Nor is the title, for most. It’s about style — and fun with friends. And its lasting legacy is its imagery. 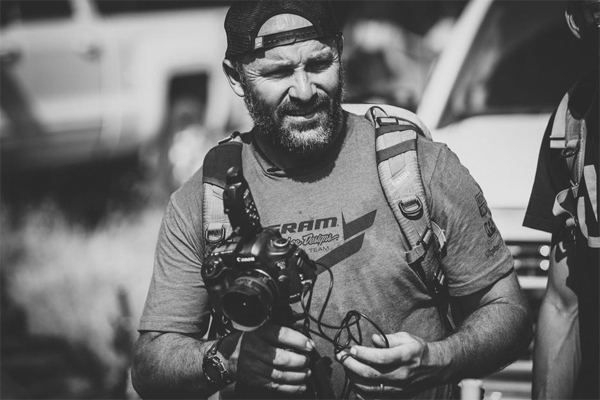 Those magical moments in time that are captured in photography — instances of pure mountain bike magic — are passed from friend to friend and become the inspiration that fuels the next million mountain bike rides.